There are so many gadgets, hacks, and apps out there - how do you know which ones are worth trying, and which are just going to make your life more difficult? Not to fear! Let's follow the "life cycle" of a project and look at some tips to make things go more smoothly for you. "I have seven balls of this yarn that I bought here two years ago, and I think I was going to make a sweater? But I don't know what pattern I was going to use. Do you remember which one I picked?" Don't let this happen to you! Erika's memory is good, but it's not infallible. When you find a pattern and yarn you like - STORE THEM TOGETHER IN THE SAME BAG. It's such a small thing, but it will save you so many potential heartaches later on. Another tip - when you match your yarn and pattern, add the project to your "queue" in Ravelry. That way you can always go back and see what you'd planned to do, even if the physical objects get separated. You're ready to start, and things are going well ... until your yarn ball rolls off and starts herding the dust bunnies that live under your couch. 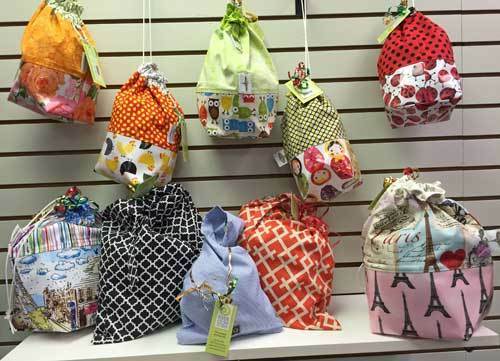 There are lots of ways to keep runaway yarn from slowing you down. Wind your yarn into center-pull balls whenever possible. Many people prefer to wind their yarn just in time to use it. If you're one of them, consider investing in a yarn winder and swift, the two items you'll need to wind yarn quickly and efficiently. Center-pull balls and commercially wound skeins can be easily "unwound" as you work by storing them in something that keeps them contained when you pull on them. This can be anything from a gallon-size plastic bag that's closed except for where the yarn comes out, to a colander, to a shoebox. There are plenty of beautiful yarn bowls on etsy.com if you want something a little more official, and we've found the yarn butler to be a useful tool to hold yarn for our shop projects. Project bags are useful, fun, and a little addictive. They're essential for traveling with a project - nobody wants to chase a ball of yarn all over the floor of an airplane - and they make great gifts. Stitch markers and Post-It notes, highlighters and pencils - all these things come in handy when you're trying to keep track of where you are in a complicated pattern. But what do you do if you've joined the digital revolution and your pattern is on your iPad or tablet? You use knitCompanion! This app lets you "mark up" pdf patterns the same way you would highlight rows on a piece of paper. Many of our customers swear by it. And while I'm thinking about it, I have a confession to make. Despite my collection of useful and cute stitch markers, I still end up using paper clips, hair bands, scraps of yarn, pieces of dental floss, twist ties, plastic baggie ties, and even pieces of paper jammed onto my needles. Some days my projects look like they were assembled by a magpie. Don't ask me why ... and don't be ashamed if you do the same thing! There are few things more disheartening than finishing your beautiful afghan ... and then noticing the hundreds of yarn ends you now have to deal with. Crochet projects are no problem - it's easy to bury the yarn tails as you go, no darning needle required. But knitters should consider taking a break every so often to weave in their ends, especially on projects with lots of color changes. You'll do a neater job if you aren't in such a hurry to finish the project, and you probably won't end up hating the process as much. The only thing worse than weaving in hundreds of yarn tails? Finishing your project and having it radically change in size or shape the first time you wash it. Ugh! Prevent shrinkage (and bagginess) by paying attention to the care instructions provided by the yarn dyer or manufacturer. These may not be in words - manufacturers have come up with a list of "universal care symbols" which are supposed to tell you all you need to know. Of course, most of us can only remember a few of them, so here's a link to a cheat sheet that shows the meanings of the most common symbols. So, what's your favorite hack for knitting or crochet? The weirdest thing you've used as a stitch marker? Ever used pencils or chopsticks to replace a lost needle? Share your tips with us in the comments - let's see what you've got! 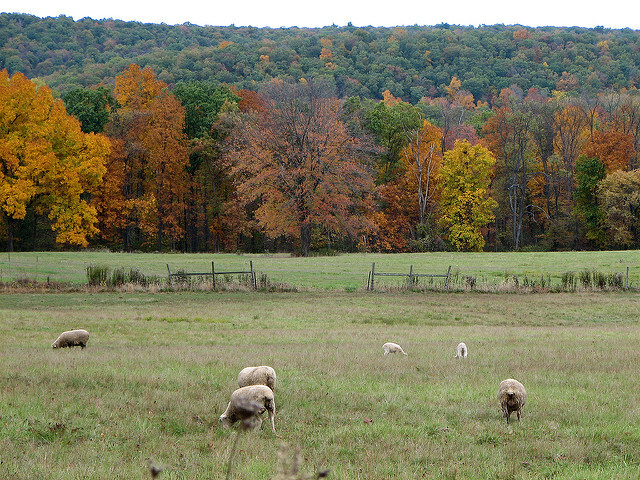 Is there any sight more peaceful than a field of grazing sheep? From afar, their woolly white bodies dot the green field, an echo of the fluffy white clouds in the blue sky above. Their heads bent to the task of turning sweet grass into wool, a flock of sheep reminds us that life can be full and simple at the same time. Here at River Colors Studio, we love wool in all its forms: spun and unspun, dyed and natural. We love the variety of textures of wool from different breeds: the rustic warmth of Icelandic Lopi, the plump cushion of Malabrigo merino, the heathered loft of Shetland Spindrift, the Rambouillet bounce of Swans Island All American Collection, the exquisite softness of Woolfolk's extrafine merino. Northeast Ohio's own Urban Shepherds promotes using flocks of sheep to manage grass on vacant lots and other large swaths of land like utility corridors. The mouflon(Ovis orientalis orientalis), a wild sheep found in the Mediterranean and Near East, is thought to be one of the ancestors of all domesticated sheep. Depending on the breed, a sheep can produce anywhere from 2 to 30 lbs of wool fleece in a year. Sheep's milk cheeses are highly prized. They include Greek feta, the Spanish manchego, French roquefort and Italian pecorino romano and ricotta. Sheep have been domesticated for at least 12,000 years. Wool was so valuable a commodity in early modern Europe that Spain's Age of Exploration was financed by its wool trade, and exporting Merino sheep from Spain was a capital offense until the 18th century. In the same way, England's King George III, to protect the English wool industry, prohibited the export of sheep to the American colonies and banned wool trading there. And we thought the American Revolution was about taxation without representation! Sheepdogs fall into two types: herding dogs, who help the shepherd move the flock, and guardian dogs, who protect the flock from predators. Sheep terminology:adult males are called rams, adult females are called ewes, sheep of both sexes under 14 months are lambs. Castrated adult males are wethers. Interested in more sheep facts? Many of these came from 25 Surprising Facts About Sheep. Come to River Colors Studio on Saturday, June 25 from 10:00 am to 3:00 pm to buy Cestari yarns. Francis Chester of Cestari Yarns will be here with all of the Cestari yarn blends, plus rugs and cones of yarn. 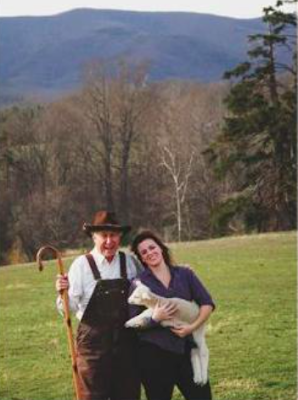 He will tell us about his adventures as a sheep farmer in the Blue Ridge Mountains of Virginia. After you meet him you might believe that he will have an impact on the states with the highest number of sheep! Well, actually that headline is a tad deceiving. The person (Kelsey) who wrote this post is now a mature wonderful adult. 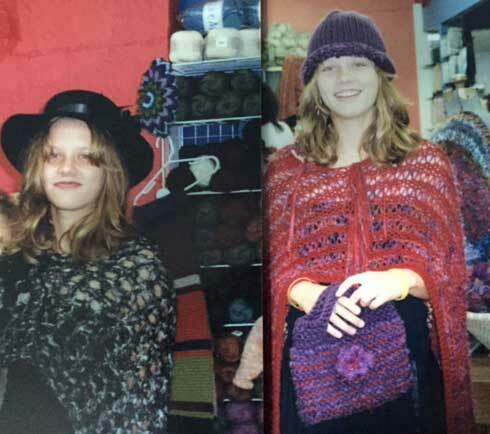 But you see, when I first started River Colors, she was a child and has grown up with the studio and Knit in Public Day in her life. I asked her to write this posting because I thought it would be fun to see what she said. Little did I know that when I reviewed it I would be in tears and say...."wow she gets it". Of course, I am biased so you can decide for yourself. As I sat down to write this post, Orlando’s most recent tragedy and the tumultuous state of the world came to mind. Even though, my initial brainstorming had led me to a much more lighthearted funny spin on the fast approach of World Wide Knit in Public Day, when I sat down to write, reflection seemed to spill from the keyboard. And thus my title: WWKD….What Would a Knitter Do? When I was younger, my siblings and I always thought it was so funny that no matter where she was, my mother ran into a fellow knitter. We used to make fun of her for knowing everyone. It wasn’t until a few years ago, when I was older and wiser, did I realize that River Colors had become a community and when my mother ran into fellow knitters, they shared something more than a passing hello. I should have known this far earlier, as I had watched the effort my mother put in to things, whether it was a garment to share with others, making sure to stay and hang out with the Thursday night knit circle, or the excitement that accompanied World Wide Knit in Public Day. I remember one of the years I first attended World Wide Knit in Public Day. I didn’t quite know what to expect. I remember thinking it was very hot, and when I arrived, I bore witness to a group of individuals knitting away on the asphalt parking lot. I’m sure I didn’t get it then, but in the years since, I have tried to be present on World Wide Knit in Public Day to help, whether it was putting up tents in the sun, or making sure they didn’t blow away in the wind, I even made the food last year (so if you enjoyed it, yep I’m that famous chef you’ve been searching for since!). I did these things because it meant something to my mom, and to the community of River Colors, because after hanging around the store enough, you start to understand it’s not just about a needle and yarn, it’s about everything in between. World Wide Knit in Public Day isn’t a day to knit socks in the heat of summer, it is a day for knitters to unify and celebrate the craft that has created a community for individuals all over the world. When I titled this piece WWKD, it was not in a joking matter, it was that despite other identities, you all identify as knitters. And, in reflection of the events in Orlando, and violence and hatred that divides our world, maybe this year we can see World Wide Knit in Public Day, as day unification, under craft and kindness. I don't have any pictures of Kelsey at Knit In Public Day.....but I do have these from a long time ago. She was a good sport and modeled for a fashion show we had at the studio. Thanks for sharing Kelsey. Wait - don't run away in horror at the mention of gauge! I promise, I can make this fun! Gauge is just a way of saying "How big are your stitches supposed to be?" It shows up in most patterns, right there near the comments about what size yarn to use and which size hook (or needles) you should try. Not all of us work at the same gauge as the designer, though, so you can't just grab the same hook and yarn and expect it to turn out the same size. Trust me - making a gauge swatch is important if you want the piece you're about to spend hours making to fit. I once ended up with a "slouchy hat" that was more the size of a garbage can cozy. Don't let this happen to you! Gauge swatches aren't hard to make or interpret. I found a nice tutorial which gives you all the details about how this works way better than I could describe it. It's got videos and pictures and everything, and she made it for both knitters and crocheters. Yay! Three main things contribute to what gauge you get when you pick up some yarn and start a project: how you tension the yarn, what size yarn you are using, and what size hook or needles you are using. Changing how you tension the yarn isn't real easy to do, and no, a couple of glasses of wine will NOT loosen up your gauge (but they will probably stain your project). Most of the time, you're going to adjust the gauge of your project by changing the size of the hook or needles you're using. 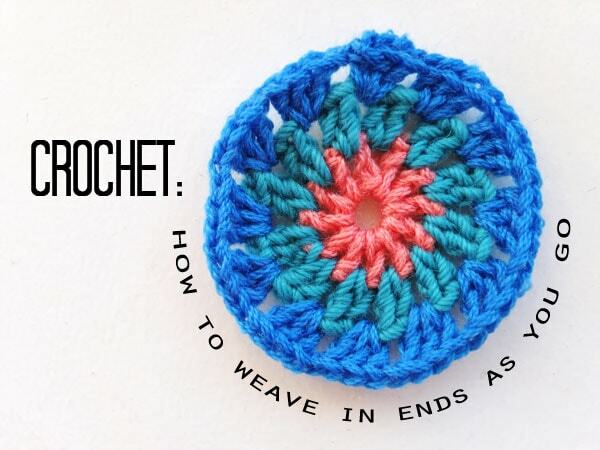 If your gauge swatch used MORE stitches to make up the 4" than the pattern suggested, it means your stitches are too small, and you'll want to go a size or two BIGGER and try again. If your gauge swatch used FEWER stitches to make up the 4" than the pattern suggested, your stitches are too big, so grab a size or two SMALLER and make another swatch. 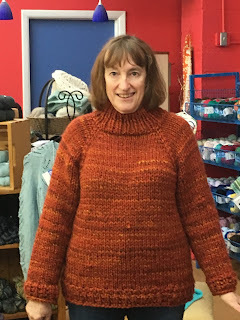 Don't be afraid to go more than one size larger or smaller - I'm a loose knitter and sometimes I have to go down FOUR needle sizes to get anything that approaches the gauge of a tight-knitting designer's pattern. But be sure to keep an eye on the feel of the fabric you're making - if you vary too much from the sizes recommended in the pattern, the fabric may end up too holey or too stiff for the project. The interaction between yarn size and tool size is really interesting. For example, these three samples were all crocheted from the same yarn, but the hook size differs quite a bit. Now, these next three samples were crocheted using the same size hook, but the yarn size varies from laceweight to bulky. Generally, to get a flexible fabric, you're going to want to use a hook or needles that are larger in diameter than the yarn you're using - the bigger the discrepancy, the lacier and more flexible the fabric. 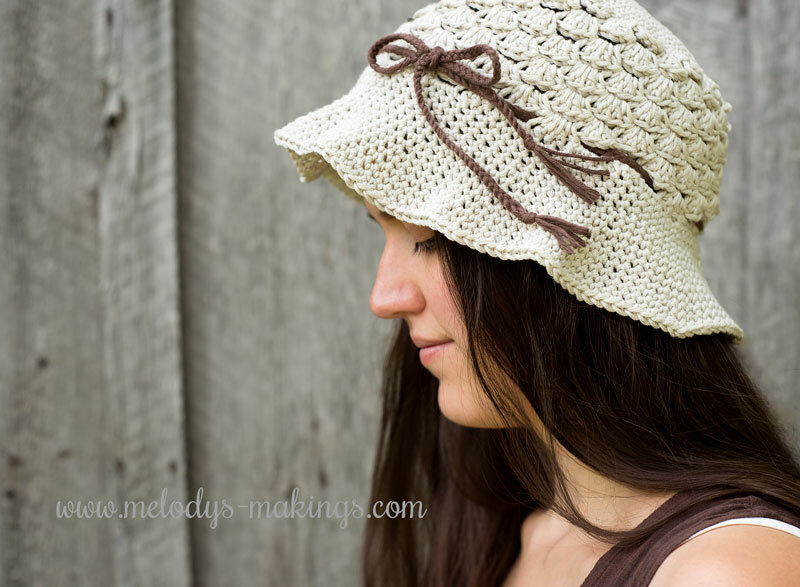 The only time you want to use a hook or needles smaller than the yarn you're working with is when you want a stiff fabric, such as for a bowl or the brim of a sunhat. I suspect that many of the haters who say crochet is "stiff and unflattering" have never seen projects that were done at the proper gauge. Nobody wants an afghan that you can fold in half and stand up in the corner (like the one I made in college - oops! ), but with the right combination of hook size and yarn weight, you can whip out lovely lacy things that will have knitters crying in their half-finished projects. Can you say, cashmere cowl in record time? Because I can. At River Colors Studio, one of the best parts of our job is helping you find the perfect combination of pattern, yarn, and tools to make the project you're envisioning. So don't be afraid to ask for assistance or advice - that's why we're here! The most popular classes we offer at River Colors Studio are our Confidence Building sessions. Currently we run them five times a week and we could probably expand to include a Sunday afternoon session, but we like to reserve that slot for special topic/project classes. You can find the times and sign up here. What happens in a Confidence Building class? Almost anything can happen, because there is no set curriculum, only the needs of the students present on that day. So if Kathy is knitting her first sweater, a top-down pullover with raglan increases for the sleeves, today’s skill for her might be different kinds of increases and when to use them. 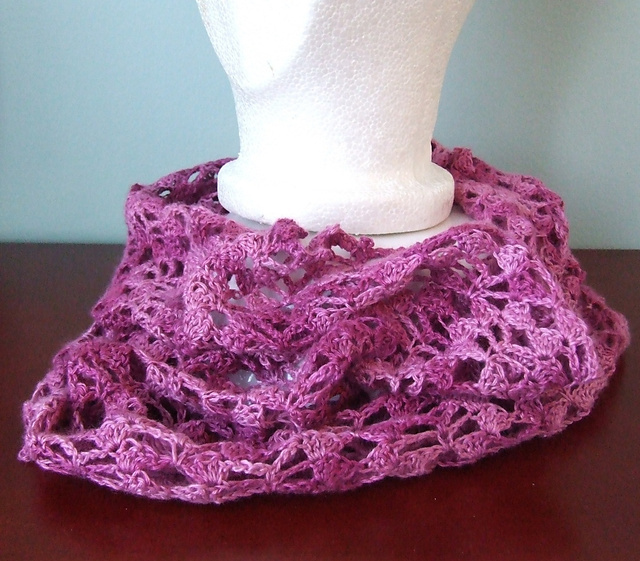 Suzanne wants to make lace cowls as Christmas gifts for the women in her life. First she learns about joining her work in the round, being careful not to twist. Once the garter-stitch edge is finished, she will learn about making yarnovers and that stitch markers are her new best friends, keeping her pattern repeats distinct as she works her way around the cowl. Each class session becomes a community with the ebb and flow of participants as their projects progress from the tricky bits into stretches of straight stockinette. But there’s something about knowing there’s a specific time and day that they can give themselves the gift of time for their knitting and taking a seat at the table is an affirmation that this craft is important, that the act of creation is a pleasure they can share with strangers who become friends. The talk around the table is endlessly informative. Overhearing the instructions one student needs at this point helps another envision what the next step will be in her project. Sometimes everyone stops and listens to me give general advice, like how to use Ravelry to preview how a particular yarn will knit up in a small project like a sock, versus a large project like a shawl. We spend a lot of time discussing yarns: why a yarn works in a certain project; what drives us crazy about another yarn; finding the right project for a yarn with which we’ve fallen in love, or has been gifted to us. Another recurring topic centers on body image and how it affects our knitting. Students see a shop sample and admire it, but then deny themselves the pleasure of making it: “Oh, I could never wear that! That sample is the smallest size, I’ll never fit in it to see whether I actually like it.” I always urge them to try it on. First, because knitted garments are magic in their ability to accommodate a range of body types and sizes; second, because setting limits on what we “can” and “can’t” wear limits our vision of ourselves. It’s a poncho, or a sweater, or a skirt. It’s not a verdict on your human worth. And the wisdom of the group around the table can move a student to see herself in a new way. That V-neck seems too low? Turn the tank around and wear the boatneck in front and the V-neck in the back. It looks fantastic on you. And knit the same size as the sample—it fits you, even if you believe that nothing marked “Small” could ever belong to you. Confidence Building is exactly what its name declares. Students learn stitches and techniques, they build their knowledge of yarn and fiber and they learn to read their knitting so that they can see where something has gone awry. After they can identify a problem, they learn to fix it themselves, knowing that they won’t have to wait for class and lose that valuable knitting time. They challenge themselves, through both their knitting and their fashion sense, feeling ready to take risks in what they make and who they are. It’s amazing what two sticks and some string can lead us to do. "Why would you spend all that time making that? You can buy them at Walmart, you know." Yep, we've all heard that statement at one time or another, usually from a well-meaning friend or relation who thinks they have our best interests at heart. And we talk to them about the superiority of hand-knit socks, the uniqueness of a crocheted cowl, and the fact that keeping our hands busy keeps us happy. But fans of crochet have one extra point they should make, an important one that escapes most people's attention. While spinning and knitting machines allow for the inexpensive manufacture of many items, there is still no machine that can duplicate the motions or finished product of hand crochet. And that means that every crochet cowl, sunhat, cardigan, or afghan you see for sale - no matter how low the price - was made by someone with a ball of yarn and a hook in one hand. Think about the economics of that. Walmart has a crocheted sun hat for sale for $8. They're making a profit on it, of course, and that markup is usually about 50% of the price. So they paid $4 for the hat, but they didn't pay that to the craftsman - they bought it from an importer (who marked up the price), who may have bought it from a wholesaler (who made profit on the deal), who in turn paid someone to crochet the hat. It's a pretty simple design, and an experienced crafter could probably make it in two or three hours. But that hat probably earned its maker significantly less than $1 in profit. That's not anything approaching a living wage, anywhere in the world. Of course, a discount store isn't the only place you can buy sun hats. You can go to etsy.com, where a quick search will turn up hundreds of options, many of them with a price that is reasonable for the amount of work involved, but can't compete with a big-box retailer. You can also search online and in person for fair-trade suppliers who work with craftspeople in impoverished areas to pay fair wages for the work performed. One trendy supplier is Krochet Kids International, which offers a cute raffia sunhat ... for $60. Other yarn choices would allow you to make an airy-er crown, a stiffer brim, or a multi-colorered masterpiece of awesome millinery. Personally, I want to make a slightly oversized version of the one above using Rowan Original Denim, then wash it a bunch of times to get it nice and faded and stiff. We'd love to see pictures of you in your summer crochet and knitwear. Post them on Instagram and tag them with #RCSsummerfavorites so we can all appreciate your efforts!